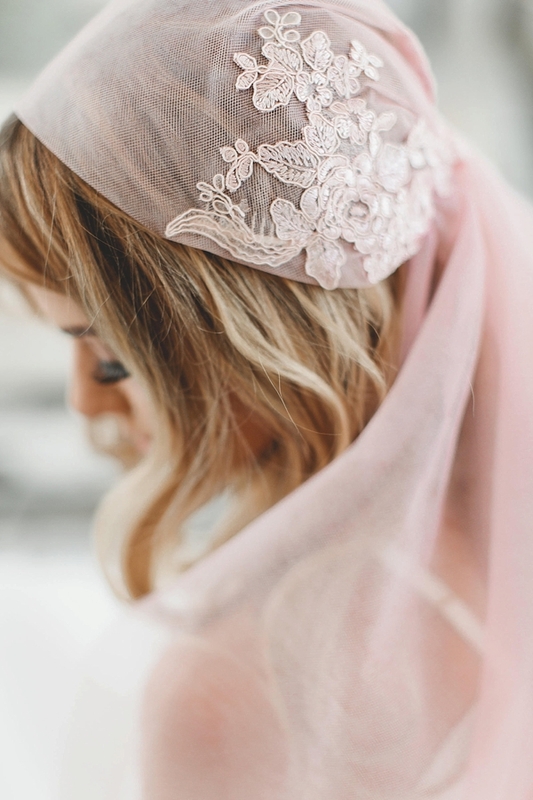 Last year, we shared some of the most gorgeous bridal headpieces we could find which was wildly popular, so we knew we had to do a companion roundup for all you veil lovers out there! 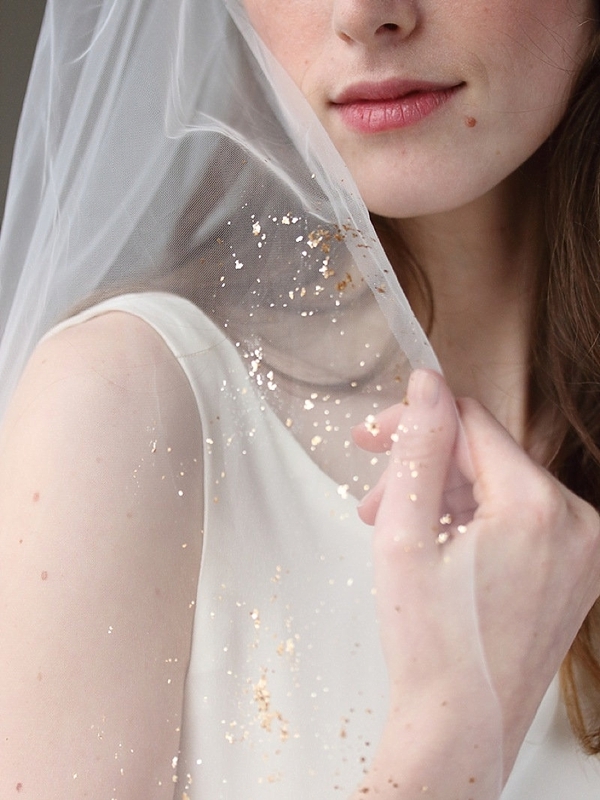 It's rather timely, too, as statement or dramatic veils are becoming a huge wedding buzzword. You've heard of statement backs for gowns and statement necklaces for your décolletage, but it's now time for those veils to get their own spotlight! For brides who are dreaming of simple elegant style but loves a little shazam to their looks, this wedding fashion trend is one to get inspired by! From a range of fabrics, designs, and lengths, every bride will find something they love in this big curated roundup of our hair accessory favorites on Etsy. 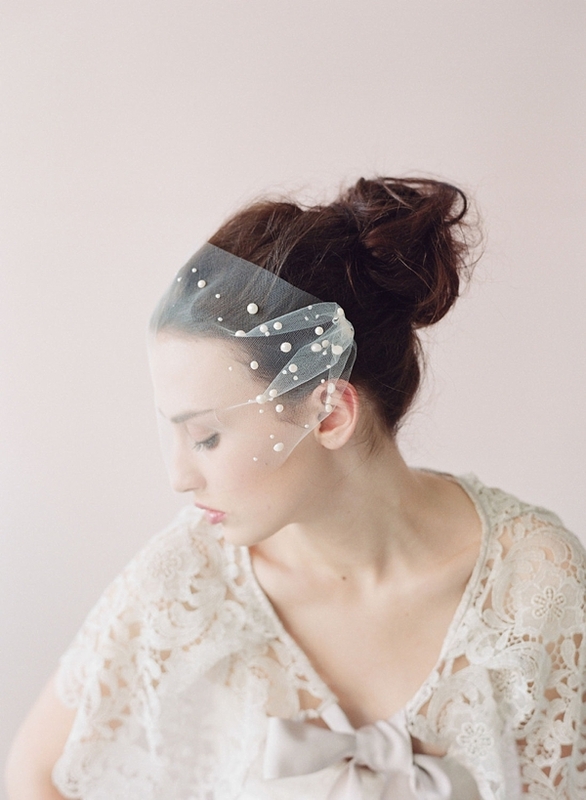 For the quirky or eclectic elegant bride, this is a statement veil to end all statement veils! 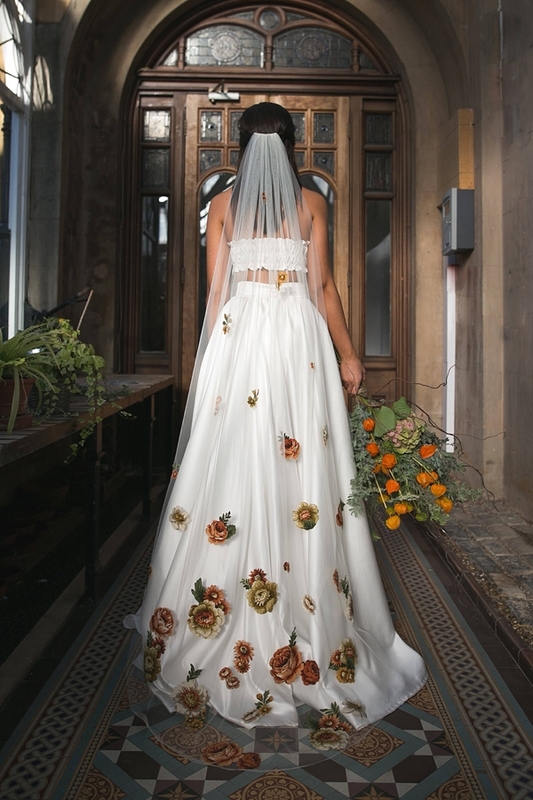 With intricate botanical beading with lovely jeweled bugs reminiscent of Victorian jewelry trends, the almost floor length veil is absolutely swoon-worthy. What a heirloom to pass on! Star light, star bright, this veil is the first star we see tonight! 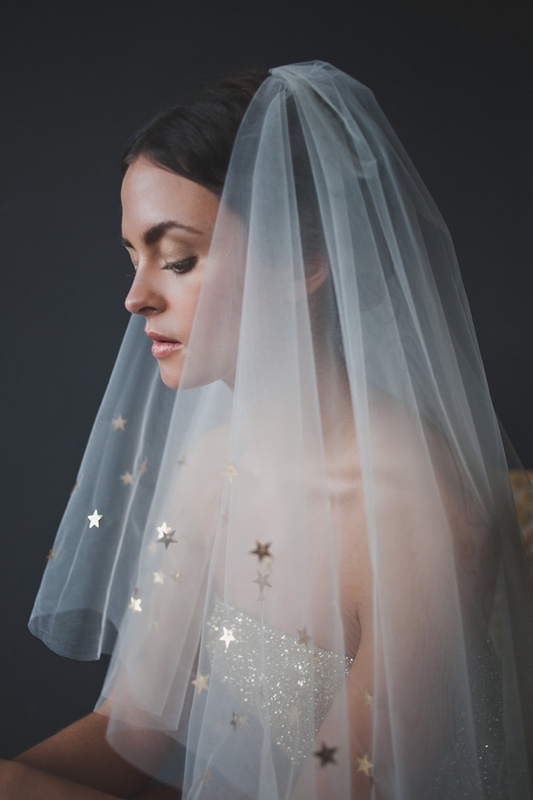 Because of all the beautiful celestial wedding inspiration out there right now, it's just heavenly perfection to add this fingertip gold star veil to the mix. Made of silk netting, floor length veils are the epitome of dramatic beauty, and this draped one is no exception! We love how it channels Grecian goddess with modern sensibility. 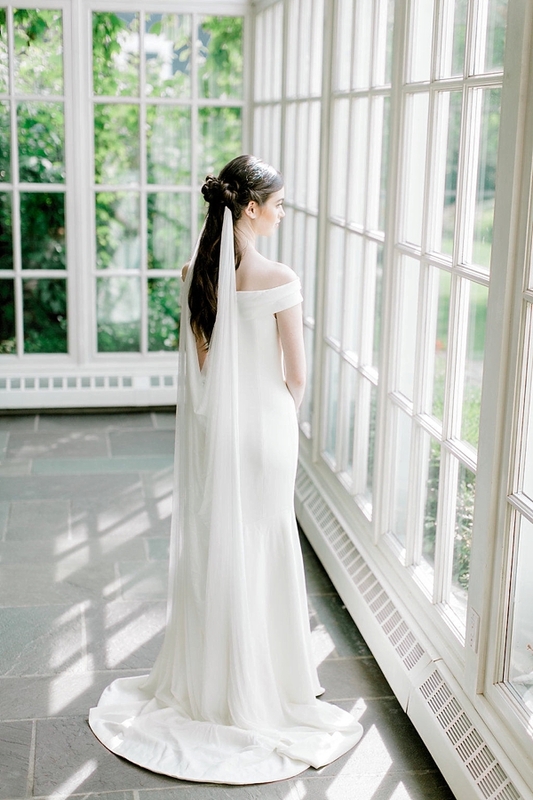 We don't know about you, but we're pretty obsessed with scarves in everyday life, so to see a stunning bridal version that can transform into a scarf, veil, or wrap, we're in love! 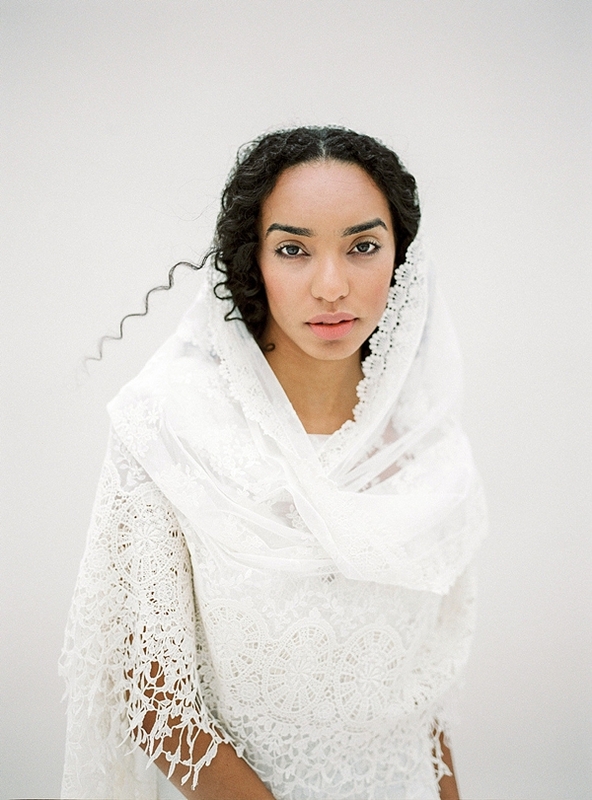 In a mantilla design with cotton lace trim, this statement veil speaks of timeless bohemian elegance. For traditional brides, you can get in on the statement veil trend, too! 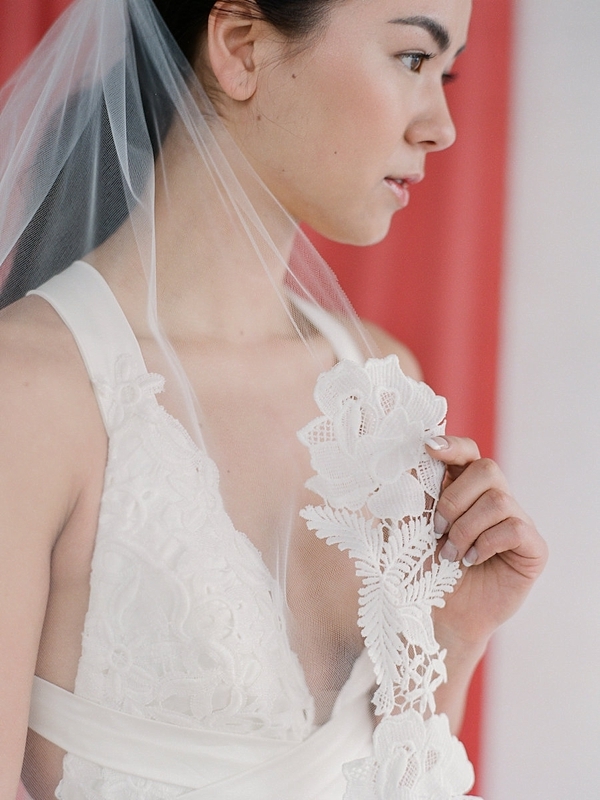 Classic scalloped lace is paired perfectly with modern fabric petals scattered about the veil. 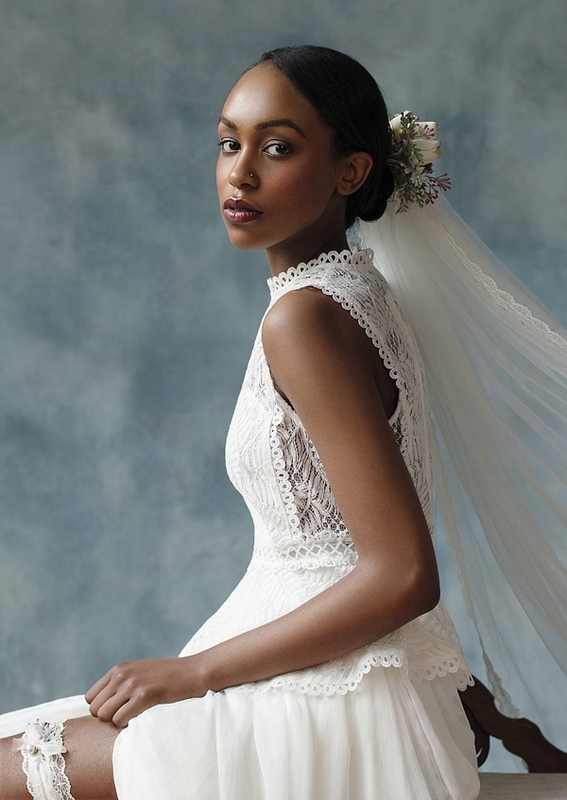 It's subtle statement with a fresh spin on traditional veils that are knee (or waltz) length. Vintage aesthetic also gets an upgrade into statement territory with this headband design! Using French netting usually used in birdcage veils, this beauty has fine detailing with a modern floral touch. 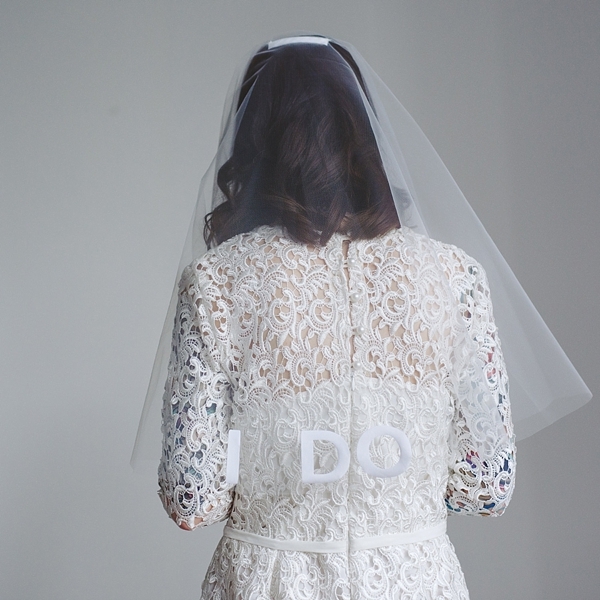 Get a little cheeky with a statement veil that literally makes a statement. Completely custom, you can get any small phrase created on this circle veil that reaches about waist length. For the bride who has something to say and wants something different, this is a totally fun option! The term "dramatic veil" seems like it was created just for this! Fringe lovers unite with this modern boho wedding style. We love how it's paired with a simple structured strapless gown! It's elegance in texture and style that comes in fingertip length. The color blush has been stealing our wedding hearts for a few years now, and it's still making its presence known in lovely new ways. Mix vintage style with modern color, and you get this sweet pink ballet length juliet cap with a bold lace applique! Get pleated with a refreshingly different veil texture! In ballet length, this accordion-like veil gives a playful, yet sophisticated vibe for brides looking for maximum impact, but quiet style. In a modern bandeau design, statement pearl beads are scattered about like snowdrops that frame any bride's lovely visage without taking away from simple bridal beauty. 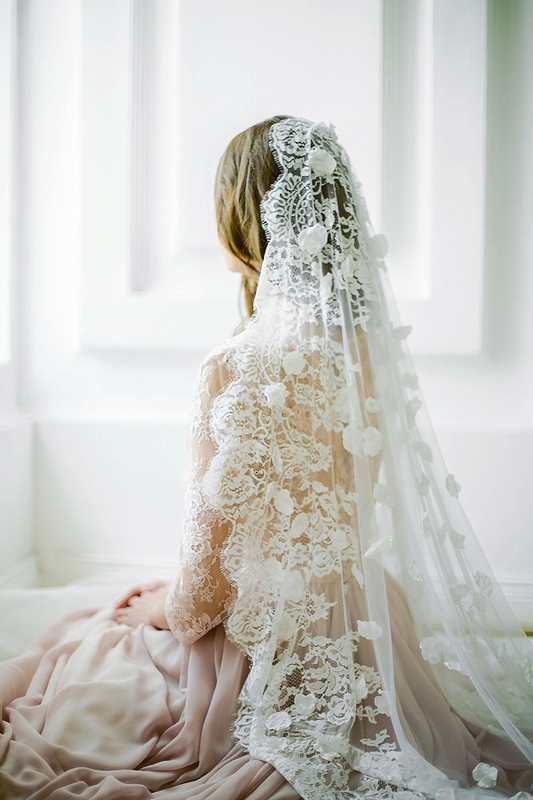 Sometimes all you need is giant floral appliques on a cathedral length veil for a dramatic look. With only a few around the edge of the veil, it's sure to catch eyes as you walk down the aisle. Ultra-feminine and delicate, the ruffled top on this veil gives a sweet and unique feel to this veil. A comb is hidden by the cinched fabric, and we love the metallic beading detail to help elevate the prettiness! 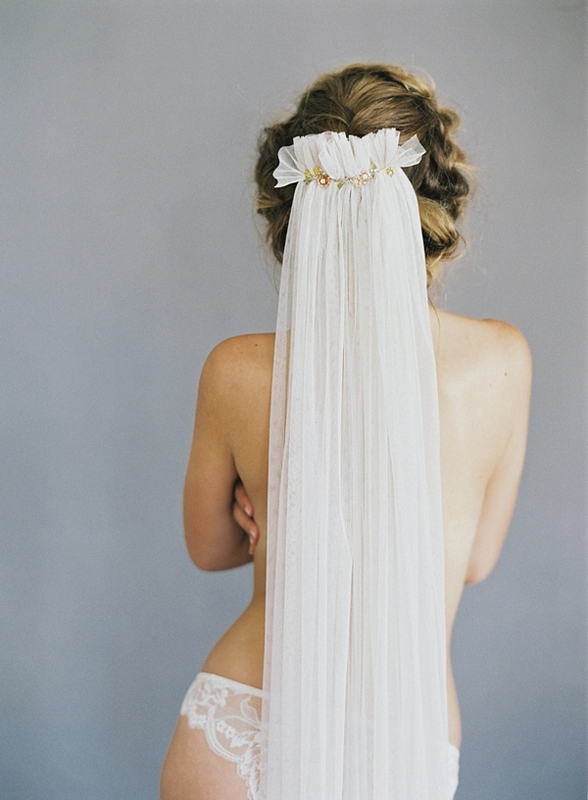 For any garden wedding, this embroidered vine veil is absolutely divine! (See what we did there?) It comes in a fingertip length which we think is perfect for outdoor weddings. With these autumnal colors, this chapel length veil makes a bold statement as it contrasts against any white wedding gown! Styling it with coordinating bouquet colors and a playfully elegant two piece dress creates a gorgeous modern look with vintage appeal. Created in any length, shimmery beauty never looked so good! With gold mica flakes hand-applied to the ivory tulle, this drop bridal veil gives us all the metallic detail vibes we love so much in weddings. While we have seen flower crowns on the wedding scene before, we swoon over this veil created as a part of the faux floral detail. 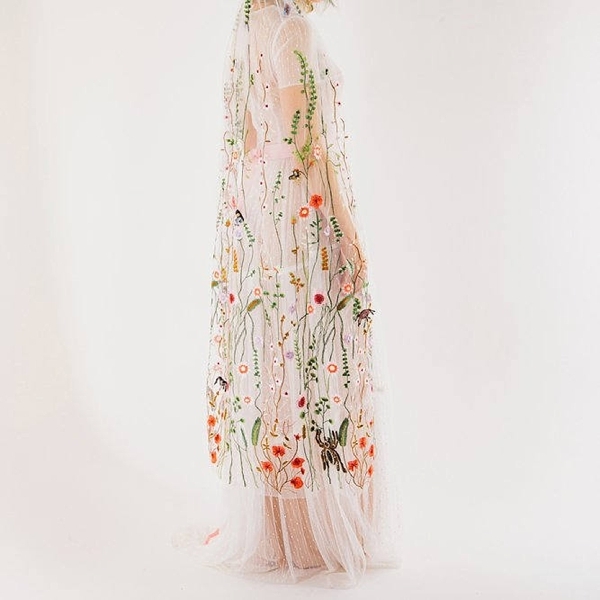 Perfect for brides with flower allergies or those who want the ultimate keepsake to give to future generations, this romantic veil makes a statement in of its own as you say I Do. Reminiscent of the 1970s, these fun retro-like flower appliques give a hippie chic bridal look for those envisioning peace signs and relaxed wedding style. With Some of Our Favorite Gown Finds!